Some call it the ‘Door to Hell’. 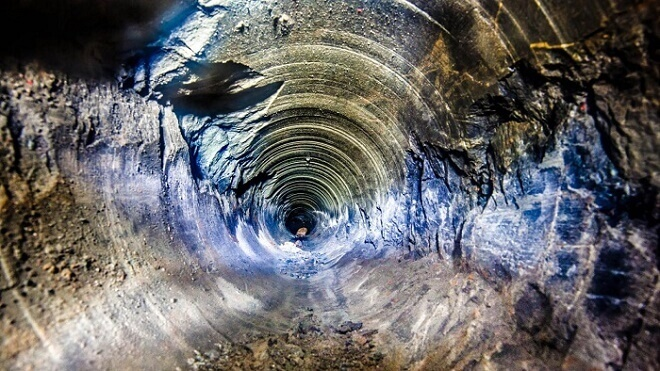 At 12,262 meters the Kola Superdeep Borehole is the deepest artificial point on our planet. No one expected these discoveries. There are some who firmly believe the human race knows more about distant galaxies and alien planets located light years away from Earth than what lies beneath the surface of our planet. Curiously, it took the Voyager 1 spacecraft nearly 26 years to exit our solar system, which is about the same amount of time scientists on Earth needed to penetrate 12 kilometers into our planet's surface. After more than two decades, scientists created the Kola Superdeep Borehole and a drill depth of more than 7.5 miles (12 kilometers). The Kola Superdeep Borehole reached 12,262 meters (40,230 ft) in 1989 becoming the deepest artificial point on our planet. 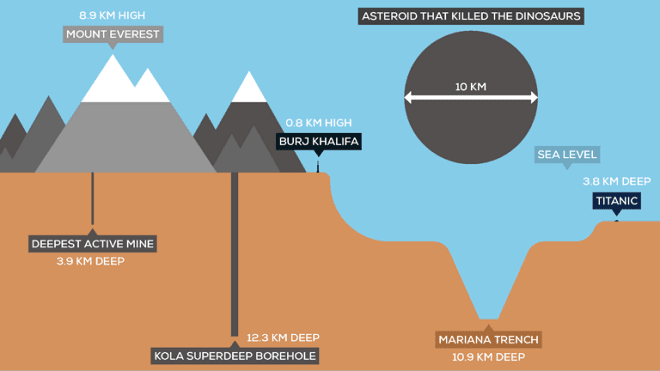 To put that into perspective, the Kola Superdeep Borehole descends further than the deepest point of the ocean, which lies at nearly 6.8 miles (11 kilometers). Well, after 26 years of intensive drilling efforts, experts found that there's a LOT of water down there. Scientists discovered hot mineralized water almost everywhere down the drilling path. But not only is there water down there, scientists discovered the Earth has Gas. Not that type of gas. Scientists found, helium, hydrogen, nitrogen, and even carbon dioxide (from microbes) all along the borehole. One of the greatest surprises was that experts found there is no basalt under the continent's granite. Scientists believed that at 9,000 meters the granite would give way to basalt. However, to their surprise, it doesn't. Furthermore, scientists discovered there are FOSSILS in granite located around 6,700 meters below the surface. In addition to the above, scientists found that the temperature at the bottom of the hole reached a staggering 180 degrees celsius, officially too hot to continue, and rightfully earning the nickname ‘Door to Hell’. But perhaps what's even more impressive is the fact that scientists estimate that the distance to the center of our planet is nearly 4,000 miles (6,400 kilometers). Turns out, 6,500 kilometers isn't anywhere close and what scientists managed to drill trough barely scratches the surface.